Where is the island house from The Thomas Crown Affair? One of my favorite movies of all time is the 1999 Pierce Brosnan, Rene Russo art-heist movie The Thomas Crown Affair. What's not to love? Thomas Crown is the most badass rich guy in movie history. Some day my dream is to basically recreate his entire life, complete with a private jet, Bentley, mansion in New York City, a ton of cool expensive toys and perhaps most importantly, an absolutely amazing Caribbean island getaway. I've always wondered where the Thomas Crown Affair island house was located and today after watching the movie for the hundredth time I finally decided to find out. 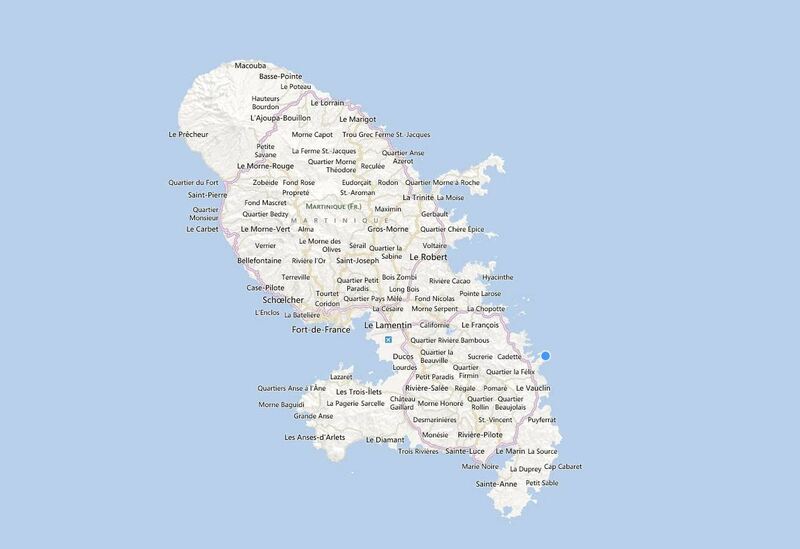 The Thomas Crown Affair island house is located on the French Caribbean Island of Martinique. The house is located in the southeastern area of Martinique within the district of Le Vauclina directly above the Baie du Vauclin and overlooking the island "ile Petite Grenade". The house's long, winding driveway shoots off of a dirt road called Anse Maroquet. The house's exact longitude and latitude is 14.568032,-60.829931. Just cut and paste "14.568032,-60.829931" into Google or Bing maps and you will be taken directly to the house. Not much is known about the owners of the house. The property has apparently been owned by the same wealthy family for over 5 generations. The family is one of the original people to settle on the island in the 17th century. Ever since the release of the movie, local real estate and travel agents have been bombarded with requests to rent the property but so far none have been accommodated. If you owned this property, would you ever think of selling it or renting it to strangers? I think not. But we here at CelebrityNetWorth would love to get some better photos of the house, so we are offering a bounty of $100 to whoever sends some in! If you know someone who lives in Martinique or if you are traveling there, this would be an easy way to make $100. And if you get high quality video footage, we'll up the bounty to $200! What are some other amazing houses from your favorite movies? Let us know in the comments and we can try to track those down too!